The Golden Triangle is one of the most popular tour in India, and for very good reason. The Triangle route – Delhi, Jaipur and Agra are three cities that capture your imagination and take you into the fascinating, decadent and passionate world of the Mughals and Maharajas. 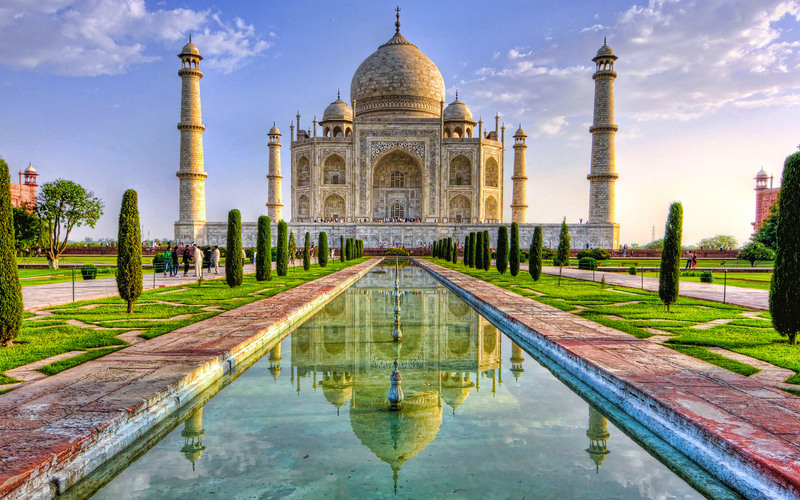 What they left behind is some of the world’s best architecture, from the Qutab Minar in Delhi to the Amber Fort in Jaipur and of course the Taj Mahal in Agra. After breakfast departure sightseeing for new and old Delhi. In the visit Jama Masjid, Lal Quila and walk around the Quaint Lane of Chandni Chowk. 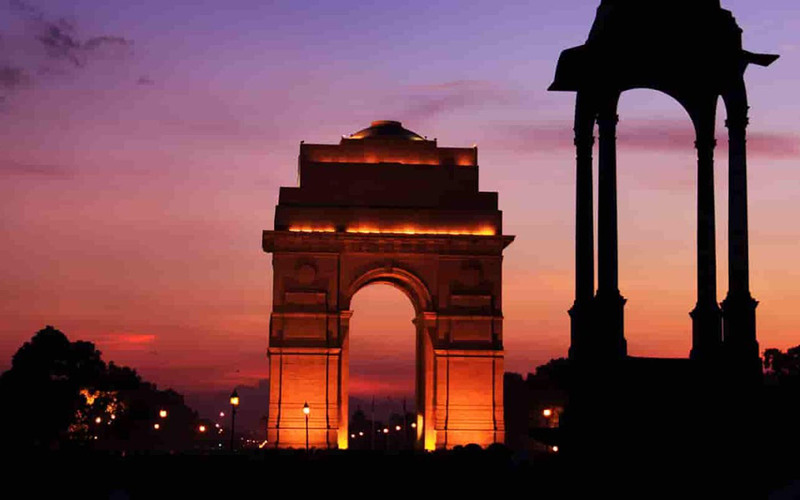 Drive on to see the Mahatma Gandhi Memorial at Rajghat, Qutab Minar, Humayun's tomb,Laxminarayan temple,Lotus temple, India Gate- a memorial to the "Unknown soldier" the Rastrapati Bhawan (residence of President of India), Past Rajpath , overnight stay at Hotel. After breakfast Drive to Agra through the Indian country side. Upon arrival at Hotel then proceed to the Taj Mahal to see the architectural modern day wonder of the world, the incomparable Taj Mahal. This Monument is a fine example of the fusion of many architectural styles is one of the wonders of the modem world. Built in 1653 by Emperor Shah Jahan.Agra the Zenith of Art and an enshrined romance. Taj Mahal. This monument is a fine example of the fusion of many architectural styles is one of the wonder of the modem world. Taj Mahal a poem in white marble which took 20 years to build by 20,000 skilled artisans' who inlaid the white marble edifice with precious and semi precious stones. Agra' town lives mainly in the past. Once the seat of Mughal rulers. Their passion for building endowed it with some of the loveliest buildings in the world. After sight-seeing the Taj Mahal, you are taken to a classic hotel for a sumptuous buffet lunch. The tour continues with a visit tothe Agra Fort from where one can get the most moving view of the Taj from the little octagonal tower in the Agra Fort which lies across the river Jamuna.It was here that Aurangzeb the third son of Shah Jahan kept his father under house arrest, from where the Emperor spent the last year of his life gazing at the tomb of his beloved. Coming back to the Hotel take rest and stay for overnight stay at hotel. Morning breakfast at the hotel and drive to Jaipur. Enroute visiting Fatehpur sikri- named as The Abondoned city. Built by great Mugal Emperor Akbar, as his capital but after few years abandoned due to scarcity of water. The whole city is built of Red Sand Stone. late evening reach at jaipur.Over night stay at hotel. Breakfast at the hotel and Sightseeing Tour starts. Morning excursion to Amber fort, enjoy elephant ride over there. 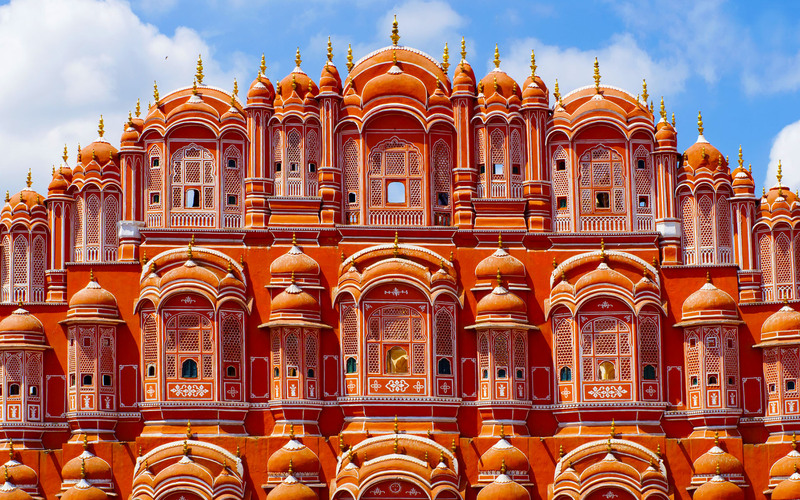 Jaipur is the Gateway to Rajasthan. Also know as Pink city, as all buildings have a pink tint to them. It is an unselfconsciously medieval city, with stately palaces, colourful bazaars (market) and a fort brooding over the city. Graceful women in swirling skirts and veils of red, yellow, orange and magenta, laden with silver jewellery, straight tall men in Turbans and lunching carts drawn by camels, do nothing to dispel the illusion. Afternoon city tour of Jaipur visit City Palace museum, Observatory and Palace of Winds. Overnight stay at hotel. After breakfast depart for Delhi. Overnight in Hotel.